If you answered YES to ANY of these, GlowBowl is what you are missing. You will wonder how you ever lived without it! ​GlowBowl in a Nut Shell! Motion Activated, so it turns ON when you enter and OFF when you leave. When you enter the GlowBowl will automatically activate, lighting your way. Light Sensitive (Only activates in darkness). GlowBowl will deactivate the instant it detects light to maximize battery life. 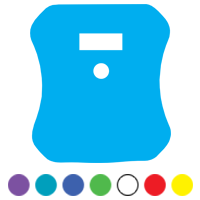 Carousel mode that will rotate colors automatically every 4 seconds if selected. 5 stage dimmer to select your level of brightness. Beautify your bowl by matching it to your decor. With the Glowbowl you can choose from 7 vibrant colors that can be changed with just thetouch of a button. The Glowbowl activates when you enter and deactivates when you leave, making night time bathroom visits a breeze. 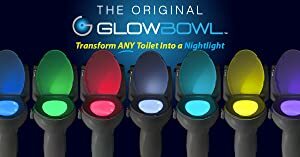 Our patented product allows for GlowBowl to fit on any toilet. 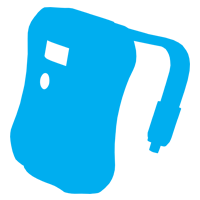 Glowbowl's flexible arm allows it to be bent into any configuration creating a snug fit for any shaped bowl.